Emre Can is delighted after scoring last weekend, but doesn’t like the occasional comparison made with our former captain Steven Gerrard. The young German is physically exceptional and plays passionately, but in fairness, he’s not yet done anything to warrant similarities with arguably our greatest ever player. 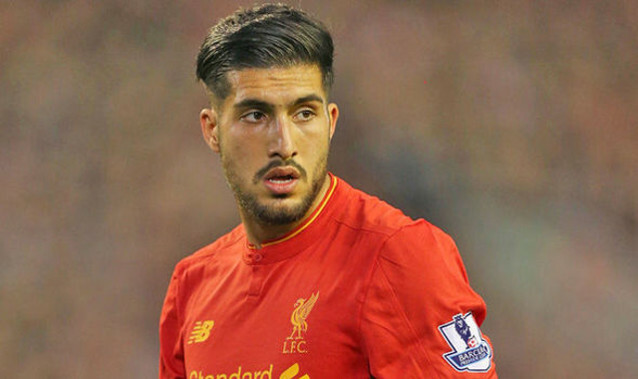 Still, this isn’t his fault – he’s making his own way in the game and we’re pretty pleased with Can’s progress. Due to an early season injury, the 22-year-old’s not been heavily involved this campaign and is now fighting Gini Wijnaldum for a spot in the team. But can’s here for the long haul, soon to sign a lengthy contract extension. When Can improves his consistency, he’s going to be one of the best central midfielders in the top flight. Klopp’s changed his position this term, deploying Can in a more advanced role due to Jordan Henderson taking the no.6 spot. This enables him to bomb forward and the quotes about scoring more goals prove this is something the player wants. His performance against Villarreal in the Europa League semis last term was one of the best individual outings we’ve seen in years. The talent is enormous. Under Klopp, Can will hone it too.